The latest update to the immensely useful Pushbullet app introduces the ability to fully sync your Android device's notification drawer with Chrome on your computer. 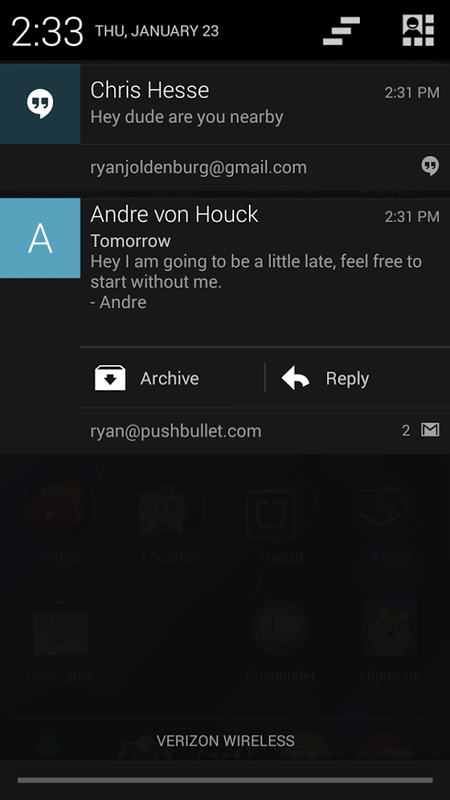 Previously, users could only watch phone or tablet notifications pop up on their desktop, with a recent version adding the ability to dismiss them from either device. Now Chrome's notification center will fully sync up with your phone's drawer, allowing you to manage alerts even after they've faded from the screen. 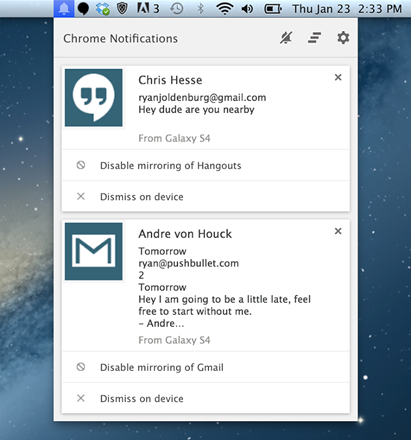 You can access the Chrome Notification Center by clicking on the bell icon in your computer's taskbar or system tray. 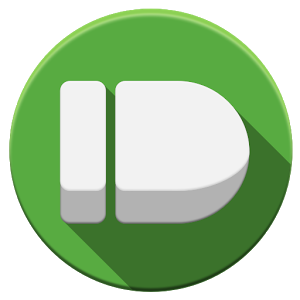 The notifications it lists retain all of the options introduced in the previous Pushbullet update, such as the aforementioned ability to dismiss them from both devices and the choice to disable future mirroring of specific apps. There are also buttons for temporarily disabling all mirroring, clearing the drawer, and accessing other settings. 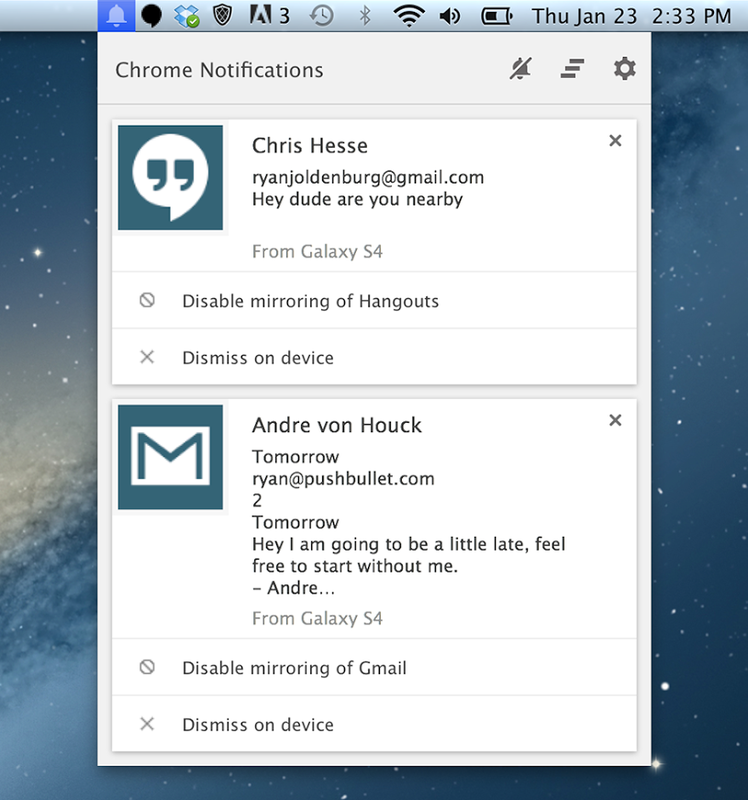 Now fully syncs your phone's notifications with Chrome's notification center on your computer! To make things even better, all of this remains available entirely for free.